Home / charts / J. Cole / J. Cole Scores No. 1 Album Worldwide With "KOD"
J. Cole Scores No. 1 Album Worldwide With "KOD"
J. Cole's fifth studio album, KOD, enters straight in at No. 1 on the Global Albums chart with 477,000 equivalent album units sold, making it 2018’s biggest week for an album. This is his 5th No. 1! Congratulations! Climbing to No. 2 we have The Greatest Showman's OST with 122,000 units, knocking Cardi B's Invasion of Privacy to No. 3 with 122,000 units sold. 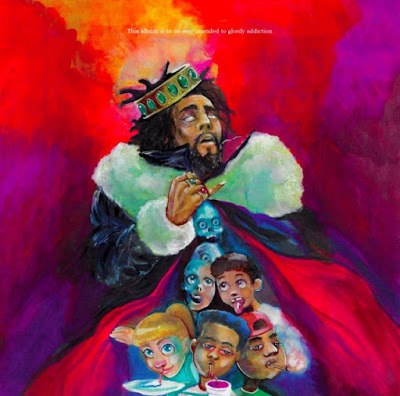 KOD, o mais recente trabalho de J. Cole, entra diretamente para o #1 da tabela de álbuns mais vendidos mundialmente com 477,000 unidades vendidas! A subir para o #2 temos a banda sonora de The Greatest Showman com 122,000 unidades e a descer para o #3 temos Invasion of Privacy de Cardi B com 122,000 unidades vendidas!